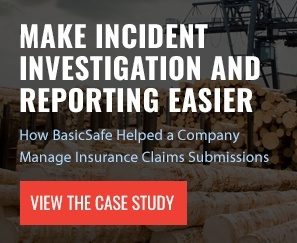 BasicSafe’s incident and investigation reporting software allows you to easily generate OSHA 300, 300A and 301 forms so you can report incidents quickly and document investigation findings. The software allows you to build checklists by incident type and build a sequence of events. Customize your incident types to create and track general and specific activities and site locations, injury sources, causes and types, affected body parts and the nature of Injury or illness, at risk conditions or behaviors and the MEEE Factors: Management, Equipment, Environment, Employee. Once you have determined corrective actions, you can document them in the module, assign them to the appropriate individual and monitor their progress. Our user-friendly incident investigation and reporting software keeps all incident documents in one place for quick access and visibility to maintain compliance and prevent future incidents.